The beans we purchase for our Fair Trade blend are harvested exclusively on the Altamira de Boilley plantation, located in the Brunca region of Costa Rica. This plantation is owned and operated by ASOPROLA, a community of women that are using sustainable farming practices to show the world that with a little creativity and a great product (their coffee beans), it's possible to sustain a living in an environmentally-friendly way. The community relies completely on the proceeds they earn from coffee harvesting, as well as from accommodating travelers in their rural lodge, situated close to the plantation. Travelers from all over can come, stay, and learn about the productive and organizational practices that support economic and environmental stability not only for the community, but also throughout the whole region. It is our pleasure to be able to not only invest in the lives of the women of ASOPROLA, but also to offer our customers an exceptional coffee. 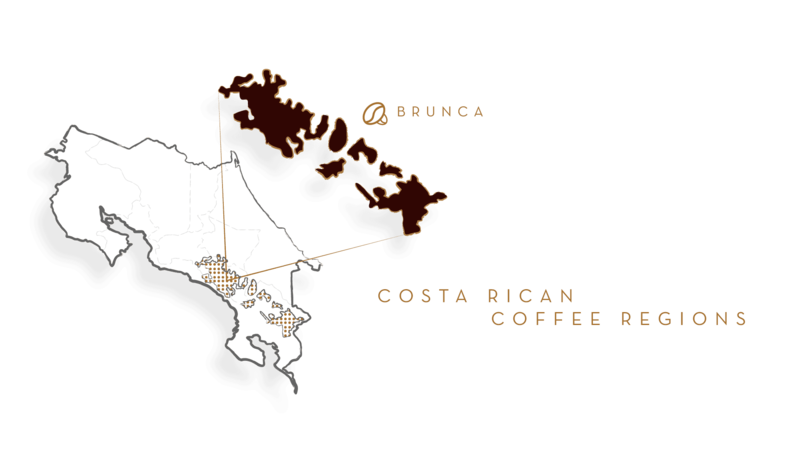 The Brunca region of Costa Rica is known for producing a thick bean with excellent aroma, body and acidity, which perfectly describes our Fair Trade blend. Our blend is dark roasted and has a pleasant aroma of fresh wood and flavor notes of wildflowers, apple, and laurel. This is a full-bodied coffee that has a heavier presence in the mouth and a long finish on the palate. One of the most important aspects of this blend is that it is 100% Fair Trade Certified, meaning ASOPROLA meets international standards of working conditions and in turn, we compensate them with above-market prices. This not only supports the ASOPROLA community but also fosters earth-friendly agricultural practices and contributes to their security and economic self-sufficiency. You will notice that on the package of our Fair Trade Blend, we depict an image of a woman which pays homage to the ASOPROLA community of women that harvest and sell the beans that allow us to roast such an exceptional coffee.